counselors, administrators, and central office administrators. The 3rd Annual Making Middle School Matter Symposium is open to all middle grades administrators and educators and will focus on research-proven practices that can be implemented school-wide. The symposium will feature a range of keynotes and breakout sessions. Unlike other professional development events or conferences, this program will draw content solely from high-quality research and translate that research into practical knowledge bites so that practices and strategies can be replicated in schools and classrooms. View Program - View the Program for more details and session information. Jack Berckemeyer - A nationally-recognized presenter, author, and humorist, Jack Berckemeyer, began his career as a middle school teacher in Denver, Colorado. After two years of teaching he was named as an outstanding educator at his school, and shortly thereafter he was identified as one of the outstanding educators in the district. In 2003, he received the Outstanding Alumni Award from the Falcon School District. Jack brings his energy, humor, and expertise to all staff development as he helps teachers and administrators remember why this job makes a difference. Jack has presented in conference and school district settings both nationally and internationally. Jack served as a judge for the Disney American Teacher Awards and the selection committee for the USA TODAY All-Teacher Team. Jack Berckemeyer is known for his motivating, practical ideas communicating a message of hope, laughter, and insight into education. Jack was also the Assistant Executive Director for the National Middle School Association for 13 years and is the author of Managing the Madness - A Practical Guide to Middle Grades Classrooms. He is also the co-author of H.E.L.P. for Teachers. His most recent publications are Taming of the Team - How Great Teams Work Together and Deliberate Optimism - Reclaiming the Joy in Education, co-authored with Dr. Debbie Silver and Judith Baenen. Jack is currently the Owner and Director of NUTS and BOLTS – Ready to Lead, Teach, and Learn Conference located in Destin, Florida and Denver, Colorado. Marlena Gross-Taylor is the founder of EduGladiators and a nationally recognized edleader with a proven track record of improving educational and operational performance through vision, strategic planning, leadership, and team building. A Nashville transplant originally from southern Louisiana, Marlena’s educational experience spans several states allowing her to have served K-12 students in both rural and urban districts. She has been recognized as a middle school master teacher and innovative administrator at the elementary, middle, high school and district levels. As a proud Louisiana State University alumni, she is committed to excellence and believes all students can achieve. Follow Marlena on Twitter @mgrosstaylor or visit her website marlenataylor.com. Dr. Adam Saenz - Dr. Adam Sáenz earned his Ph.D. in School Psychology from Texas A&M University as a United States Department of Education doctoral fellow. He completed his predoctoral clinical training under a fellowship appointment to Harvard Medical School, and he has a postdoctorate in clinical psychology from the Alpert Medical School of Brown University. 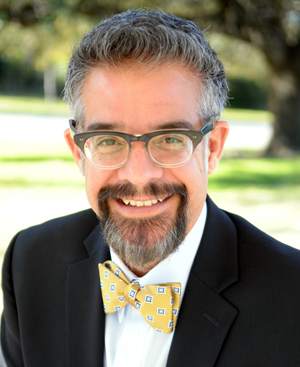 Dr. Sáenz also earned a Doctorate of Ministry in Pastoral Counseling from Graduate Theological Foundation with residency at Christ Church college of Oxford University. Dr. Sáenz is the author of the best selling book, The Power of a Teacher, and his most recent release is Relationships That Work. He currently serves as the clinical director of the Oakwood Collaborative, the counseling and assessment clinic he founded in 2003, and he consults with school districts across the United States. How did he go from juvenile detention to two doctorates with training at Harvard Medical School and Oxford University? Adam Sáenz will tell you: it was the power of a teacher. Dr. Saenz’ story is one the Huffington Post says “will never fail to inspire,” a journey through profound lows and soaring highs. At every important juncture, there have been two common elements—lifesavers that appeared when he most needed it: education and teachers. Whether you’re searching for a reason to believe or you just need a hope-filled reminder, the bottom line is that you do have tremendous power to make a difference in students’ lives, and Dr. Sáenz’ message will compel you to engage your calling with passion, with purpose, and with vision. 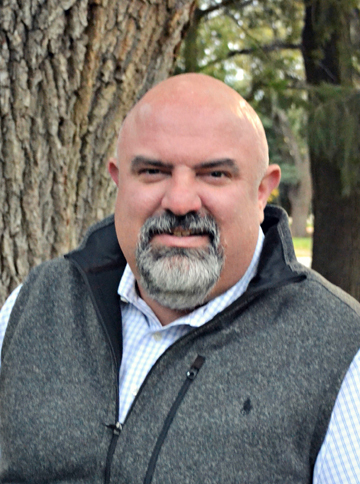 Justin Richardson - Bringing years of district leadership experience, Justin Richardson, M.Ed., is passionate about engaging, challenging, and supporting educators to create something new and amazing! He believes our purpose as educators is to bring out the greatness in others. As the Chief Learning Officer for lead4ward, Justin provides direction on learning initiatives with a creative and innovative approach. His vast understanding of the learning process provides a platform for the lead4ward team to support leaders and teachers in what’s best for students. Prior to joining lead4ward, Justin served as Executive Director of Curriculum and Professional Development for Canyon ISD. In this role, he developed and led the implementation of Professional Learning Communities, curriculum alignment, assessment and data analysis processes, and intervention systems. He led Canyon ISD in the implementation of digital learning, Google Apps for Education, and development of an award-winning induction program for new teachers and mentors. In addition, Justin has served on the TEA state assessment item review committee, SBOE mathematics review committee, and many more.